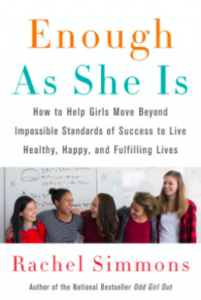 Best-selling author and girl expert Rachel Simmons will share strategies to help girls move beyond impossible standards of success to live healthy, happy, and fulfilling lives. Join us for a talk followed by a Q&A and book signing. If you wish to bring a girl to this event, Rachel recommends 7th-12th graders. Register here. Hosted by Tamalpais School District. Cosponsored by Marin Country Day School and Girls Leadership.